Behold the Portishead Popsicle swim cap! The water will be cold. Very cold. Despite this, many happy people will be swimming in it. There are different classes for wetsuit and non-wetsuit, unlike many winter events where all rubber is banned. There may be silly hats (a stretch this one, I admit, but it’s not often you see someone in a pool with a bobble hat). 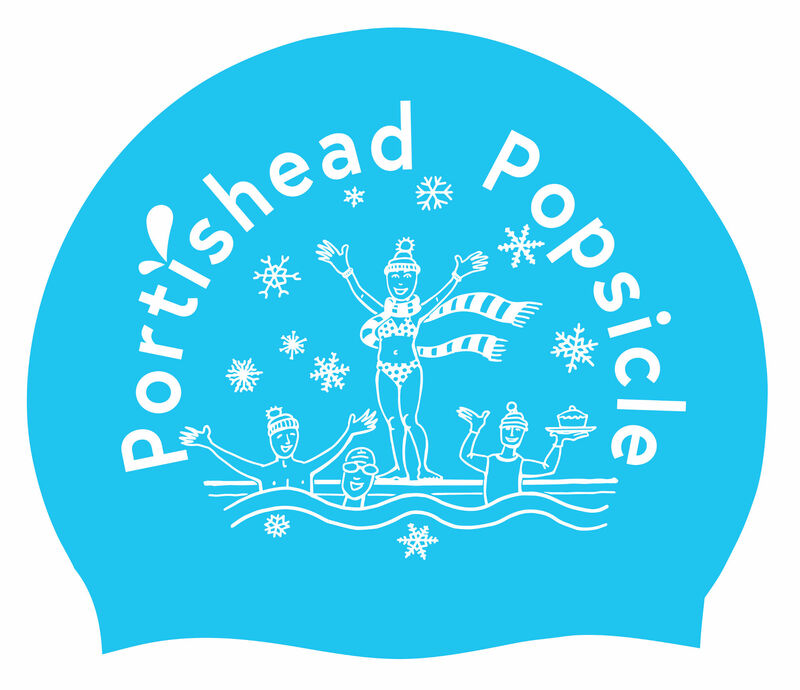 The Portishead Popsicle happens on 16th December. This entry was posted in commissions, Events, swimming, Swimming hats etc and tagged art, design work, Portishead Popsicle, swim cap, Swimming hat on November 22, 2017 by Nancy Farmer. Had to have a cap! I ordered 2. hope they can send them to me in US!! Thanks Carol, I have seen the conversation on Facebook so I think you’ll be fine….